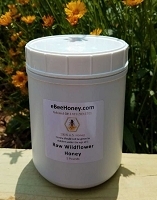 Pleasant tasting honey, aromatic, and ranging from water white to light yellow in color, this honey comes from the black locust tree which flowers in long white racemes. 2018 was the most trying year we've ever had producing Locust Honey. 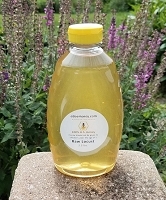 Most of the hives in Ohio, MI, WI, etc. were wiped out with a new type of disease. In fact we've only had 3 bee swarm calls this year so far where in years past we'd be at 35 bee swarm calls or so. So whatever hit the bees, wiped out the wild hives as well. 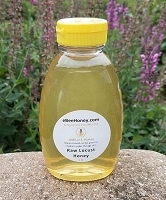 Since Locust honey is the first honey produced in the season, the bees need to be strong and ready for the nectar flow from the black locust trees. So the amount of Locust Honey produced around this region is at a record low this year due to all the bee losses this past winter. 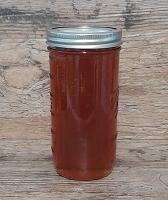 Typically, locust honey is tough to produce even when all of our beehives make it through the winter. So this Spring was especially trying getting all of our beehives back up and ready. The locust trees only flower for a couple of weeks at best and we typically have a big Spring storm which takes the flowers off the trees. 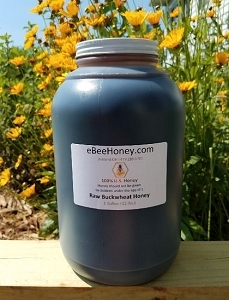 This limits the amount of nectar bees can gather, so we never have enough Locust Honey to get us through a year and we will sell out in a matter of days. 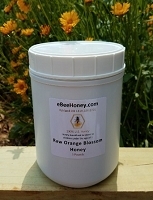 We also have Locust honey that has apple blossom and cherry blossom in it - sometimes the bees start combining floral plants that are in bloom and you can get honeys like this. 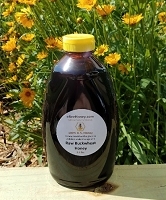 It tastes just like Locust honey which is a lighter sweeter honey and the apple blossoms and cherry blossoms give it the darker color that you see in the pictures. 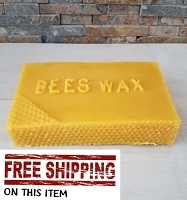 It is a very thick honey.